A reference for building production-grade applications which are easy to test, maintain and extend to multiple platforms. This book is for the Web developers who have already got their hands dirty with React and ES6 and want to build complex native apps. How React Native works internally and how to debug RN apps. How to test and write modular code in react-native. How to set up a good DevOps pipeline which will increase your team&apos;s productivity and ensure seamless testing. How to extend your react-native codebase to support web or any other platform by just following some code conventions. We are following a native-first approach while keeping an eye out for potentially extending to the web. You will eventually see how easy it is port the application to the web by following conventions. 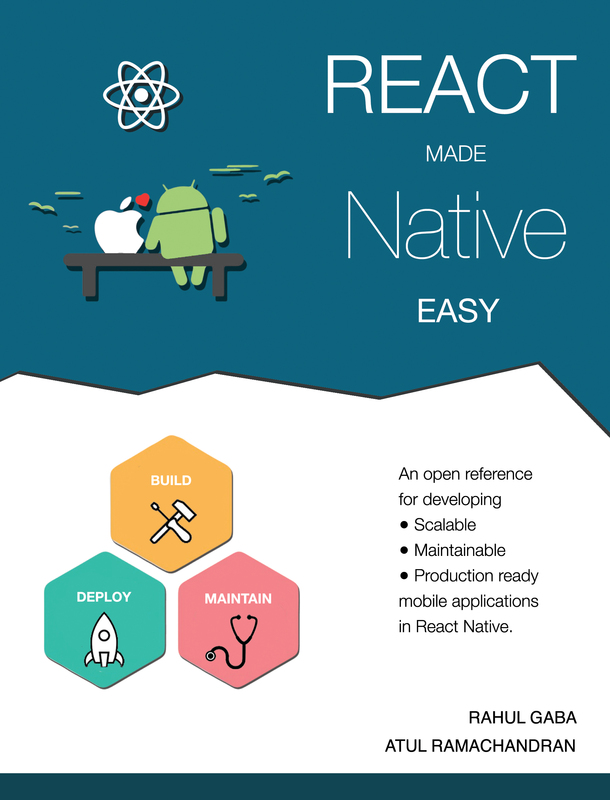 Our knowledge is based on our experience of working with React Native apps for around 2 years and helping clients launch their apps quicker than ever before. React developers who are planning to start with react-native applications. Web Developers who know basic ReactJS fundamentals and want to learn best practices for state management and native development. Native iOS/Android developers who know ReactJS and want to start building apps using React-Native. React-Native developers who want to extend their codebase to support other platforms by just following some code conventions. We will build a Note Taker application while learning the concepts. There is a link to the code at the end of every chapter. You can also see the app live if you have the Expo app on your phone. So be ready to get your hands dirty. Download a .pdf, .epub, or .mobi here. If you prefer a hard copy, please feel free to take a printout. This is an open source book hosted on Github. We will keep updating the contents of the book as and when it gets outdated. Please feel free to contribute or leave a comment in the Disqus.